We firmly believe in the Islamic Unity and strive to build the united Muslim Ummah to combat the enemies of Islam. That requires from us to categorically reject British Shiism & American Sunnism. Why? The Leader speaks. 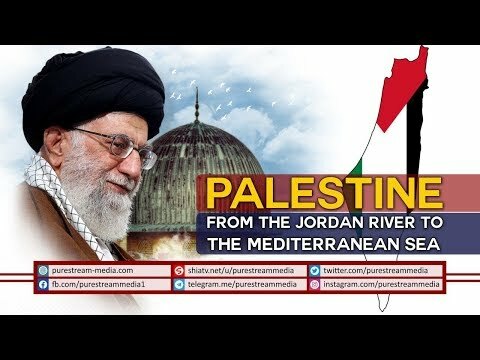 Living Unity in Iran | Leader of the Muslim Ummah Some assume that Shia-Sunni unity is not practical; it can not be achieved; it is practically impossible; well, Sistan Baluchistan in Iran is a living example of this solidarity and unity between Muslim brethren. 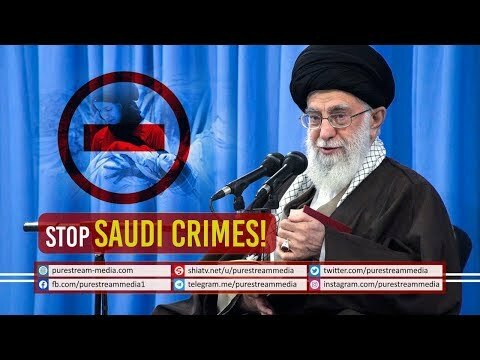 Leader of the Islamic Ummah, Ayatullah Imam Sayyed Ali Khamenei (H.A) calls for unity and brotherhood between Shia & Sunni brothers around the world. 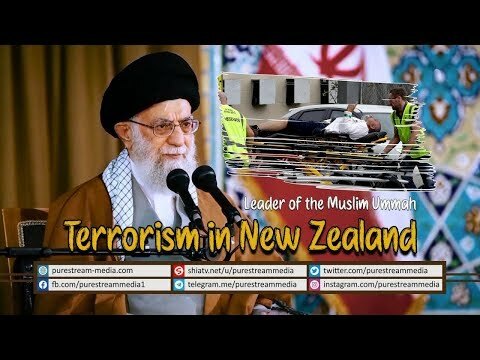 Leader of the Muslim Ummah, Ayatullah Sayyed Ali Khamenei talk about Myanmar & Muslim Genocide. The Muslim Ummah is under attack. Our enemies are doing everything to divide us and to stop us from waking up. They want us to remain silent in the face of the atrocities and crimes they commit on our brothers and sisters. We know this.The question is this: given that we know, what are we going to do? Should we remain silent and let them colonize us, or should we resist? 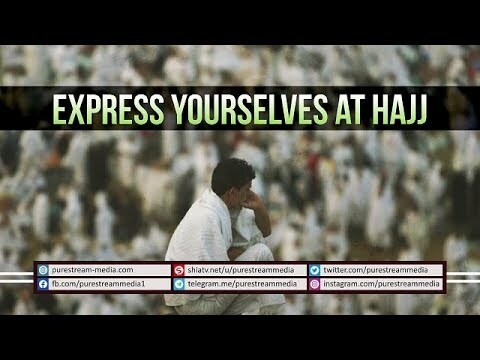 Hajj is the venue for the Muslim Ummah to express its hatred against the enemies of Islam. What is the main issue and who are the main enemies that we are facing today? The Leader speaks. We all have this question: what is our responsibility as an Ummah that is separated by nationalist borders? Watch and share this! Today, because of some so-called Muslim rulers, the entire Muslim Ummah is being insulted. What is the core reason of accepting this disease of humiliation? 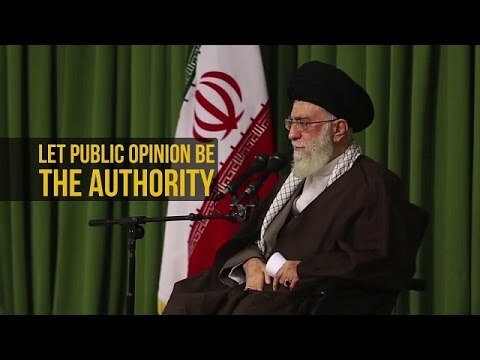 Imam Khamenei explains. Responsibilities of Poets | Leader of the Muslim Ummah Poetry is one of the most effective arts used in contemporary times to convey strong messages that impact public opinion. What topics should we choose? What areas should we focus? The Leader speaks. Our Enemy is Drowned in Sludge | Leader of the Muslim Ummah The arrogant so-called superpowers are in deep sludge. The hollowness of their artificial slogans of human rights and sovereignty have been completely exposed to the whole world. Look at Yemen, for example! 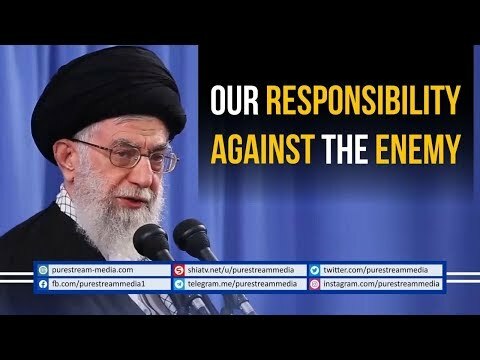 Our Responsibility against the Enemy | Leader of the Muslim Ummah Will the enmity between us and the United States of America last forever? Why and why not? What is our responsibility then? 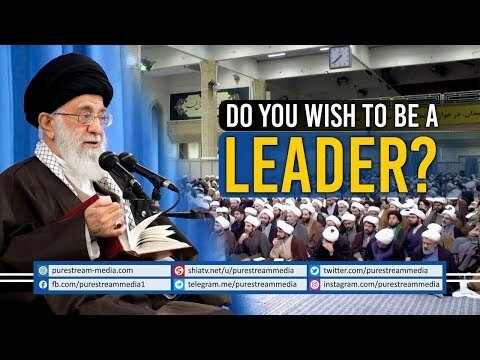 Do you wish to be a LEADER? | Leader of the Muslim Ummah Unlike the secular culture, the divine religion of Islam discourages a devout Muslim to run after and crave for acquiring authoritative positions, managerial roles, leadership roles, government positions, and positions of power and control. Why is it so? And is this an absolute principle according to Islam? What are the exceptions to this rule? The Leader speaks. 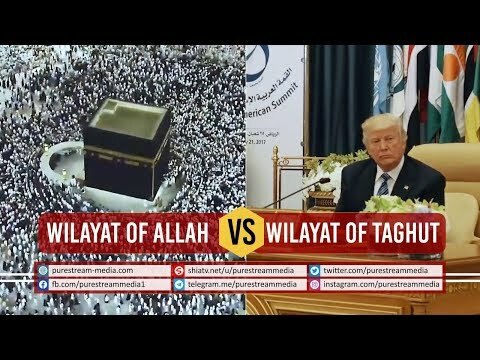 Wilayat of Allah VS Wilayat of taghut | Leader of the Muslim Ummah Imam Khamenei warns the rulers of the Muslim countries to return to the Wilayat of Islam, Quran, and Allah. Why are they seeking refuge under the Wilayat of America? 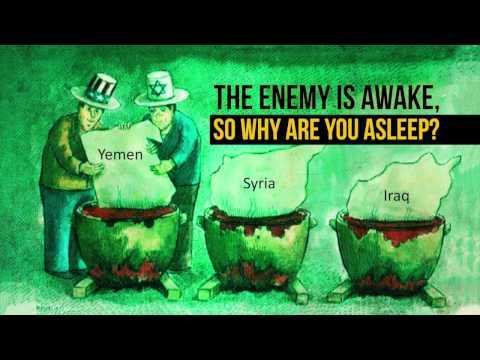 How in the world can Muslim rulers partner with the enemies of Islam to suppress and oppress Palestinians & Yemenis? Do they think they can win on these two fronts? This is a clear warning by the Leader! The Reality of American Calculations & Forecasts | Leader of the Muslim Ummah While America boasts and brags about its projections, calculations, analysis, foresight and forecasting capabilities, the Leader rubs their miscalculations and lack of analytical ability onto America\'s face. Today, it is clearly proven that America\'s plan and policy has failed in this region - from Palestine to Yemen to Iraq to Afghanistan to Pakistan and above all, against the Islamic Republic of IRAN. It\'s been proven time and again in last 40 years!